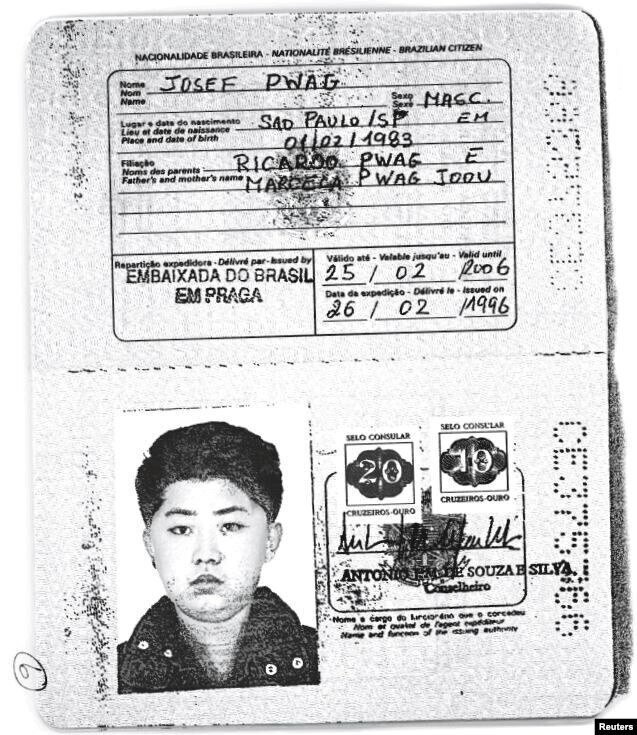 The late Supreme Leader of North Korea, Kim Jong-il, and his son and current Supreme Leader Kim Jong-un, used forged Brazilian passports to secure visas for overseas trips and to travel abroad undetected, according to reports. 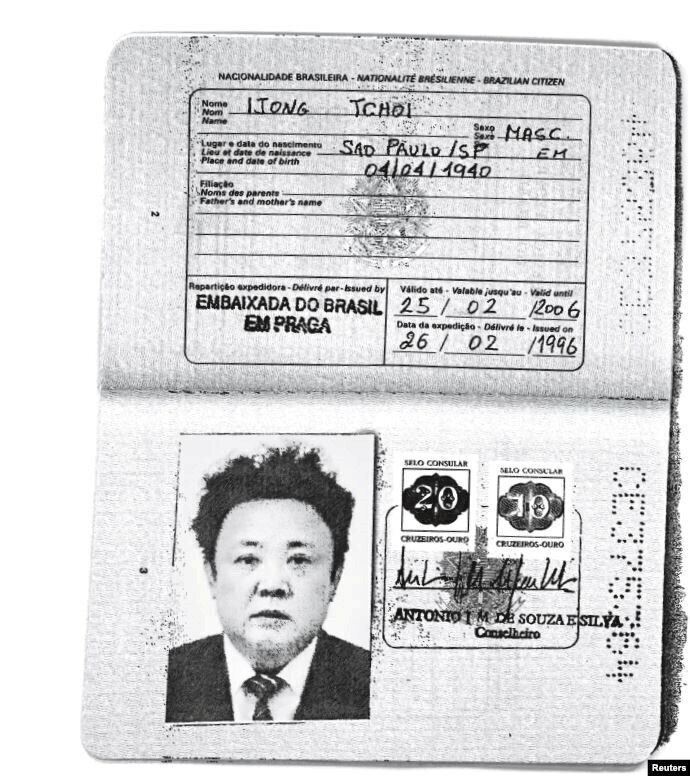 The Reuters news agency cited five anonymous “senior Western European security sources” in claiming that the two North Korean leaders’ images appear on Brazilian passports issued in the 1990s. The news agency posted images of the passports, which appear to display photographs of Kim Jong-il and Kim Jong-un. It said that the two leaders’ faces had been verified through the use of facial recognition software. The passports were issued in the name of Josef Pwag and Ijong Tchoi. Both bear fake dates of birth and list Sao Paulo, Brazil, as the passport holders’ birthplace. Both passports bear the issuance stamp of the “Embassy of Brazil in Prague”, Czech Republic, and are dated February 26, 1996. Reuters cited an anonymous source from Brazil, who said that the fake passports were not forged from scratch. They were in fact genuine travel documents that had been sent out in blank form for use by the Brazilian embassy’s passport issuance office. The Reuters report quotes an unnamed Western security official who said that the forged passports were mostly likely used by their holders to secure travel visas from foreign embassies in Southeast Asia, mostly in Japan and Hong Kong. They could also have been used as back-ups, in case the two Kims needed to be evacuated from North Korea in an emergency —for instance an adversarial military coup or a foreign military invasion. At the very least, the passports indicate a desire to secure and safeguard the Kims’ ability to travel internationally. North Korea’s intelligence services are known for making extensive use of fraudulent passports. Readers of this blog will recall that the two female North Korean agents who killed Kim Jong-nam, Kim Jong-un’s half-brother, in February of 2017, had been supplied with forged passports. The two women, who are now in prison in Malaysia, were using Indonesian and Vietnamese passports. Reuters said it contacted the Ministry of Foreign Affairs of Brazil, which said it was still investigating the whether the two passports were indeed issued to members of North Korea’s ruling family, and how they came to be issued. The news agency also contacted the embassy of North Korea in Brazil, but officials there declined to comment. Fake Syrian passports designed for use by members of the Islamic State trying to enter Europe have been found in refugee camps in Greece during an investigation by the law enforcement agency of the European Union (EU). Officials from Europol, the EU agency that coordinates intelligence operations against organized crime across EU-member-states, said that the fake travel documents were found during a fact-finding mission in Greek refugee camps. The mission was part of a larger investigation into the production and use of forged passports by the Islamic State, the Sunni militant group that is also known as the Islamic State of Iraq and Syria (ISIS). According to the Italian newspaper La Stampa, which published the claim, Europol is investigating the production and distribution of fake passports by ISIS in its strongholds of Syria and Iraq, and among refugee networks in European countries like Belgium, Austria, Italy and Greece. Greece is the most widely used route into Europe by hundreds of thousands of refugees from Syria and the rest of the Middle East, who leave their countries in hopes of migrating to the prosperous countries of Western Europe. Nearly 60,000 of them have been trapped in Greece since April, when Macedonia shut down its borders, thus preventing migrants from heading north. These people have been living in refugee camps since that time, hoping for a chance to continue the journey northwards. But in a leading article published last weekend, La Stampa claimed that ISIS is using the refugee crisis form Syria to infiltrate Europe with militants intent on launching attacks on soft targets. The militants are supplied with false identity papers, said La Stampa, primarily fake Syrian and Iraqi passports. They then use these passports to enter Greece. Their goal is to eventually travel north to countries such as Belgium, Germany, Austria or France, and claim asylum there. La Stampa quoted one unnamed Europol official as saying that fake passports “that were destined to supposed members of ISIS” had been identified in refugee camps in Greece. It has been confirmed that at least two of the perpetrators of last November’s attacks in Paris, France, which killed over 130 people, entered the EU using forged Syrian passports. The Italian daily also noted that the reliability of Turkey, from where the vast majority of Syrian refugees entered Europe in recent years, remains fragile after the failed July 15 coup, which has altered the balance of power in that country. As a result, the EU-Turkey migrant deal may collapse “at any moment”, said the paper. The Islamic State in Iraq and Syria (ISIS) is now able to produce authentic-looking Syrian passports using machines that are typically available only to governments, according to an American intelligence report. The report was accessed by the New York-based station ABC News, which said it was issued by Homeland Security Investigations (HSI), the investigative wing of the United States Department of Homeland Security. According to ABC News, the 17-page report was issued in early December to law enforcement departments across the US. It warns that ISIS is most likely able to print government-quality travel documents using Syrian passport templates. According HSI, the militant group was first able to access passport-issuing technology when it conquered Raqqa, the Syrian city that today serves as the capital of the so-called Islamic State. The city has a passport office with at least one passport-issuing machine, said the report. A few months later, ISIS came in possession of a second passport-issuing machine when it captured the eastern Syrian city of Deir al-Zour. The HSI report states that the city’s passport office, which contained “boxes of blank passports” and at least one passport-printing machine, came into the hands of ISIS militants undamaged. Currently, the whereabouts of the Raqqa and Deir al-Zour passport machines “remain fluid”, says the report, pointing out that both machines are believed to be portable. The intelligence report goes on to state “with moderate confidence” that ISIS has issued authentic-looking Syrian passports to individuals, and that some of them may have traveled to Europe and the US. 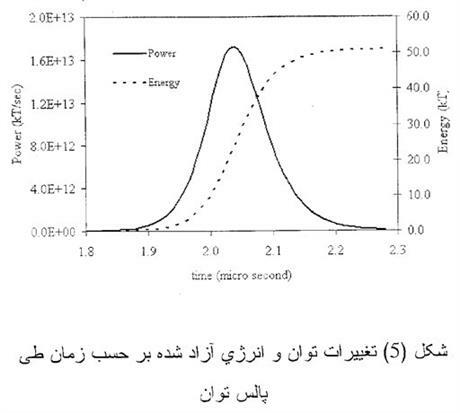 Further on, the report says that Syria is virtually awash with fake documents; it cites an unnamed source who says that high-quality fake Syrian passports can be purchased in the black market in Syria for less than $400, and that some government employees will backdate passport stamps in exchange for a fee. IntelNews readers will recall that two of the suicide bombers who attacked Paris in November were carrying fake Syrian passports. ►►Did Pakistani ex-leader know bin Laden’s hideout? General Ziauddin Khawaja, who was head of Pakistan’s Inter Services Intelligence directorate (ISI) from 1997 to 1999, claims Pakistan’s former President, Pervez Musharraf, knew bin Laden was in Abbottabad. ►►Sweden expels Rwanda diplomat for spying. Sweden has expelled a Rwandan diplomat for allegedly spying on Rwandan exiles there, according to the Associated Press. The diplomat, Evode Mudaheranwa, was sent back to Rwanda last week, according to a sources close to the Swedish government. 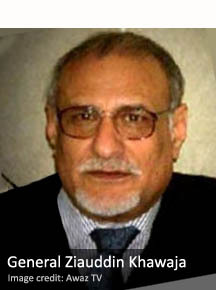 Mudaheranwa was the Rwandan embassy’s second-highest-ranking official. The Swedish action comes as amid charges that Rwandan President Paul Kagame’s government sends agents overseas to silence critics. ►►Mossad continues to use foreign passports. Agents of Israel’s Mossad intelligence agency are still using foreign passports to conduct undercover operations in other countries, according to a report in The Sunday Times of London. The paper says that new evidence shows that foreign nationals residing in Israel are willingly allowing the Mossad to use their passports. The Times interviewed several Israelis who revealed details of how they were approached by intelligence officials about the possibility of volunteering their passports for the Mossad.